According to CPSC, In 2016 alone, an estimated 1,700 injuries were treated in emergency rooms that were related to playards. Based on data collected between 2012-2014, CPSC estimates that the average number of deaths due to playpens is 16 per year, this is an increase from the average of 12 per year that was estimated between 2007-2009. 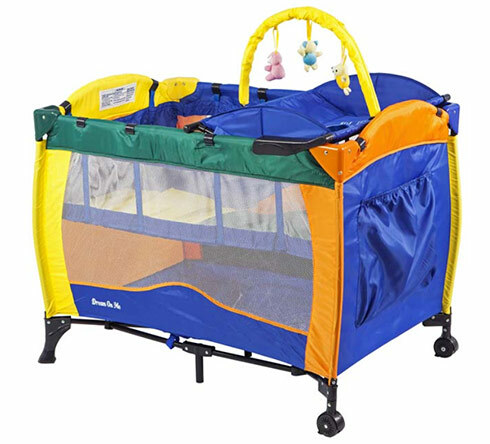 Be aware, some products are called play yards or portable cribs interchangeably, so review the hazards from the portable crib page as well. The most recent play yard recall occured in 2014 with the Dream on Me Incredible play yards. These play yards were at risk of collapsing and presenting a strangulation hazard. Since 2007, nearly 2 million play yards have been recalled, involving 1,762 incident reports and 3 deaths. As of February 2013, manufacturers are required to test play yards to ensure that they meet new safety standards. This federal safety standard was passed as part of Danny’s Law. Never add bedding or padding to a mesh sided play yard. Use only the pad which comes with the product. While “play yard” mattresses may be sold in some stores, they are not safe to use in mesh sided products. The baby can fall in a gap between the mattress and mesh side and suffocate.